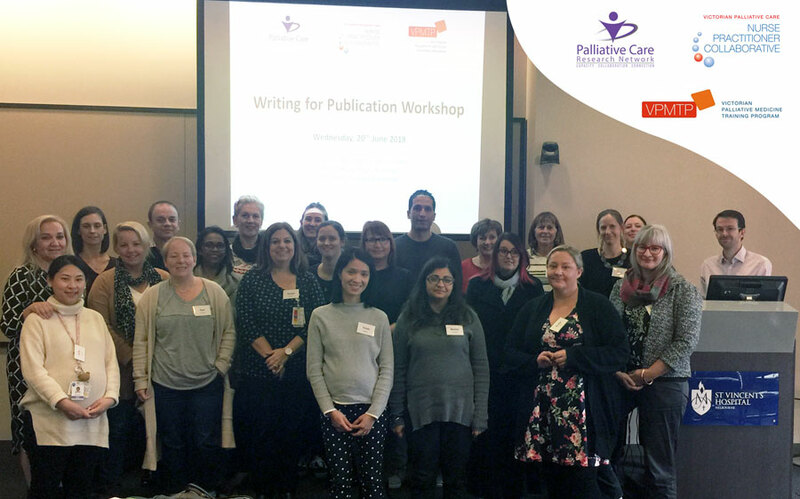 The Writing for Publication Workshop hosted by the Palliative Care Research Network (PCRN), Victorian Palliative Care Nurse Practitioner Collaborative (VPCNPC) and the Victorian Palliative Medicine Training Program (VPMTP) on Wednesday 20th June 2018 was a highly informative session that provided participants with practical guidance on how they can transform their work into publication for a peer reviewed journal. The workshop covered a range of topics from why you should publish your work to how to go about structuring and writing the article, submitting and how to deal with reviewers comments. "Excellent Workshop. Practical & useful tips. I feel so much more confident to continue the write up of my article than before the workshop."